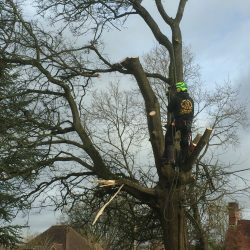 Are you looking for professional and local tree surgeons in Reigate and Redhill? We are a family-run, friendly and professional company of tree surgeons working in and around Reigate and Redhill and the surrounding areas. 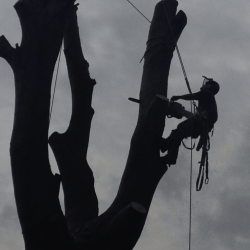 Our arborists are fully qualified and insured for the work they undertake, which includes tree felling and removal, tree pruning, tree stump removal, tree planting, crown reduction, garden clearance and more. 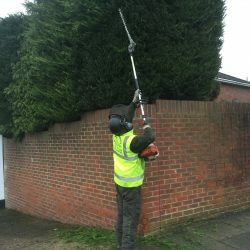 Unlike many tree services companies in your local area, we tailor our services directly to your needs, expectations and budget and we can take on all jobs, regardless of the size. We’re committed to delivering the total package with outstanding workmanship alongside excellent customer care, to deliver unrivalled results. We take enormous pride in remaining as flexible, accommodating and friendly as possible and much of our work comes from repeat business or word-of-mouth recommendations from existing customers. We care about our environment, so will always treat your trees and our environment in a thoughtful and respectful way. We always recycle and re-use garden and green waste where we can. 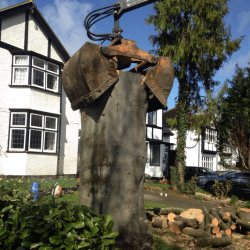 For more details about our tree services or for a free quotation, please contact us on 01737 215718 or 07872 615504. Tree felling is the removal of trees to ground level. DH Tree Services offers a comprehensive range of tree felling services to our commercial, domestic and industrial customers in the area. Where a tree or number of trees need to be removed, we can get the job done efficiently, quickly and safely. We have a huge range of expertise in all areas of tree felling. Most trees need to be dismantled in sections for a variety of reasons, such as their location near houses or other properties, gardens or other trees. This is done with the use of specialist lowering equipment to ensure the safety of our staff and the general public, whilst reducing the impact on the surrounding areas. We are highly skilled a navigating tight spaces and can tackle any project for you. We will also complete all local authority checks and complete all paperwork for you. 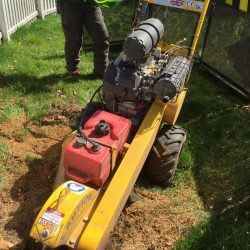 Tree stump removal is the process where the stump is removed either using hand tools or mechanical machinery such as a stump grinder to grind out the tree stump. 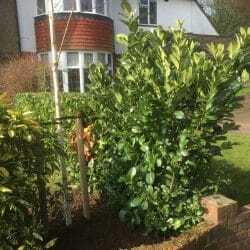 This prevents the roots from forming new growths and stops tree stumps becoming infected with diseases that can have a knock-on effect on the rest of your garden. Stump grinding is an environmentally-friendly solution to provides immediate results and we will choose the grinder depending on the size and location of the stump. The empty space can then be filled with sawdust or wood chippings, depending on your future plans for the cleared area. The alternative way to get rid of a stump is to use a special stump treatment, where herbicide is used to kill the stump and roots, stopping new growth. 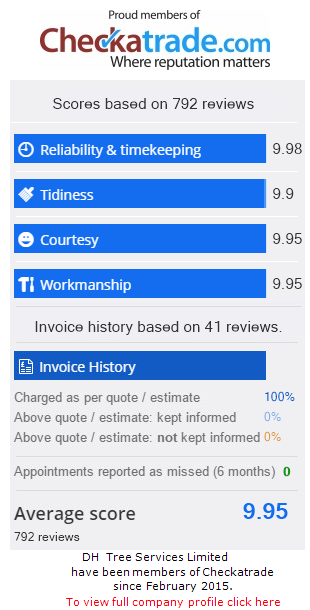 For more details about how we could help you, please call us on 01737 215718 or 07872 615504, email us at dhtreeservices@gmail.com or fill out an online enquiry form.